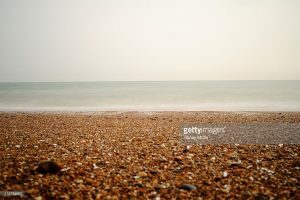 What’s the point in being by the seaside if it’s too cold to swim? Well assuming you don’t have a wetsuit, there are still good reasons to be by the sea in cold weather. 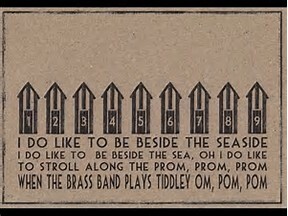 In 1907, John Glover Kind wrote a popular British music hall song titled; ‘I do like to be beside the seaside’. Due to his love of summer visits to the sea. And who can blame him, being beside the sea is a huge benefit to our well being. Some of the benefits of being beside the sea are quite surprising. Ions are particles which have a positive or negative charge. Particles are made of atoms, with combinations of neutrons, protons or electrons. Neutrons are neutral, protons positive and electrons negative. A particle with more electrons than protons has a negative charge and vice versa has a positive charge. The sea generates many negative ions, while most harmful particles are positive ions. The negative charge of the sea attracts the harmful particles and weighs them down, so they are no longer air borne. With less harmful particles in the air, our immune system can relax. Our oxygen levels increase, serotonin levels (happy hormones) balance and we become more relaxed, calm and internally energized. Research shows that listening to the seas waves affects our brain waves. In some sense our brain waves synchronize to the sound of the sea and become more calm and regulated. These brain wave patterns have been proven to lead to a good nights sleep. There have been innumerous studies on how green spaces positively affect people but the research on ‘blue spaces’ is quite far behind. The research on ‘blue space’ is currently lead by Professor Michael Depledge. He recently carried out an early Green Space study, that presented people with photographs of increasing amounts of green space. The study showed that blue space has the same effect, although exact reasons are yet to be confirmed. Recent studies done by postcode have also shown that proximity to the coast correlates with public health. So the closer you are to the sea the better your health will be. The same correlation also applies to large areas of water in land. Personally I see the benefits of the sea as being a place for contemplation and clarity. Being in the city means you can rarely see further than a hundred yards in front of you. To me, this doesn’t just limit your physical vision. But equally it limits your vision of the future and past, it limits your imagination and therefore your possibilities. Looking out at the sea means seeing hundreds of miles of uninterrupted space. Space for your mind to reach out and think, imagine and contemplate. If you’re studying learn English in Brighton, then you’re just a walk away from hundreds of miles of open space. You’re within earshot of the regular, swinging motion of the oceans waves and you are already breathing healthier air than in the city. Why not take a minute to be beside the seaside? Throw a couple of stones and contemplate.